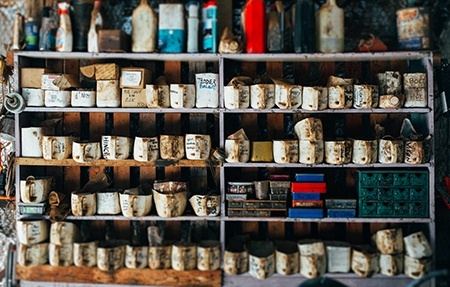 Did you notice at what point your garage become so cluttered with junk that you can barely use it to park the car, let alone store something else? Junk and clutter have the nasty habit of accumulating over time. It could be rather shocking to discover what once was a garage full of empty space is now junk central. Fear not – We Collect Rubbish is here with the best garage clearance service you can ever ask for. Thanks to We Collect Rubbish, you can get rid of the unwanted junk in your garage without lifting a finger. The best part of working with us is that we can really save you a ton of effort and time. You know well enough that the garage is like the universal place to put all kind of needless items: furniture, electronics and a whole host of other things considered clutter. With our well-trained teams, you can just point us to the clutter that needs to be removed and put your feet up. The job will be done without any delay whatsoever! We Collect Rubbish is the go-to company for many residents in London. We know just how important it is to keep your garage free of junk. That is why we can promise quick and efficient service whenever you require it. The best part is you only need to contact 020 3909 7640 and arrange things in a few minutes. No time and effort wasted, when you are working with the best. Another thing you should consider when looking to hire garage clearance is the price. Our company’s policy is pretty straightforward: offer the best price you can find in London. You may think that is what everyone would say, but we dare you to contact us at 020 3909 7640 and find out for yourself. Our services are definitely cheaper than hiring a skip, while also providing more for the money. You literally don’t have to lift a finger, which is all the more reason to work with us. Instead of troubling yourself with impossible feats of removing piles of useless clutter, you will do well to contact We Collect Rubbish at 020 3909 7640 and hire us. It won’t be long before you praise us for the wonderful work of freeing your garage from unwanted stuff. Give us a call today and you will find out why so many others have come to count on us for this very important job.